The alarm goes off and the morning battle begins: you knock on your child’s bedroom door to wake him, but you have to go back time and again to make sure he’s actually up, your voice rising with each “wake-up call.” As the minutes tick by and he still hasn’t gotten out of bed, you resort to screaming and yelling in his face, and then tear the blankets off the bed. In desperation, you pull him out of bed by his feet, though you know you won’t be able to do that for many more years. A screaming match ensues, and now your child has missed the bus, so you have to take him to school. You’ll be late for work again, and you feel your blood pressure rising with every traffic light. Finally, your child slams the door of your car, and you head to work, agitated and upset, sure that your boss will make a comment again today about your lateness. If you find yourself bending over backwards to get your child going in the morning, you’re not alone. 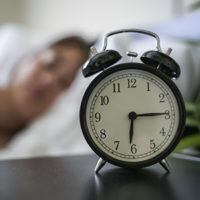 During parent coaching sessions, many parents tell me they set their own alarms an hour or more in advance in order to start the process of waking up their child. In many cases, consequences and punishments seem to have no effect. According to the National Sleep Foundation, teens need an average of nine hours of sleep per night. Biological sleep patterns during adolescence make it difficult for teens to get to sleep before 11 pm, and nearly impossible to wake up in time to catch the bus or make it to homeroom on time. What that means is that when your child has to get up early to get to school, he or she is working against a biological drive to sleep. But just because a kid’s biology doesn’t match up with the demands of the outside world, it doesn’t mean that you have to surrender to the daily insanity of getting your kids up and out of the house. The Total Transformation Program tells parents to stop taking responsibility for getting their kids out of bed on time. If you repeatedly bang on your child’s door to get them up, or you drag them out of bed, you are working harder to wake up your child than they are. As James Lehman says, “You are substituting your extra energy and effort for your child’s.” So if you think about it, why should your child get up on their own when you are willing to do it for them? If they know they don’t really have to get up until mom threatens to bring the ice water, why should they get up at the first ring of the alarm? Ten more minutes is ten more minutes, right? This solution may not work for all families. Your child may be too young to leave at home while you’re at work; walking to school might not be an option. You’ll need to customize the consequences and expectations to your own family situation. If you do have to drive them to school because they overslept, maybe the consequence is that they have to do an hour of chores to make up for the time you lost. The important thing to realize is that as long as you take responsibility for getting your child out of bed, they will let you do it. It may take a few days for them to get the hint, but once you stop working so hard, they will realize they have to change their behavior, or face certain consequences. A natural consequence for oversleeping and being late to school is having to make up any schoolwork that was missed. You might also check with your school to see what the policy is for repeated tardiness or missed classes. Don’t protect your child from these consequences by making sure they make that bus on time. In order to create less dramatic mornings, you have to let your child experience the consequences of not getting themselves up and out the door. Because of the biological drives I mentioned earlier, it may be hard for your adolescent to go to sleep before 11 p.m. Going to bed by 10 is going to be a little “uncomfortable” for your child. In time, the discomfort and annoyance of having to get into bed with the lights out and no electronics may motivate him or her to get out of bed on time in the morning. Once your child has gotten up on their own for five days in a row, you can change their bedtime to a later hour. If they begin to oversleep again, change it back to 10 pm until they improve. What if your child doesn’t know how to help themselves get up in the morning? Remember, teens and pre-teens are fighting against a physiological drive that tells them to sleep later than many school start times. In order to change their behavior, they need a plan, not just wishful thinking. If your child has a hard time getting up, have them come up with a list of things they will do to help themselves get out of bed on time. Changing to an earlier bedtime may help. Putting the alarm clock across the room, instead of next to the bed, may also help. Have your child pack their school lunch, pick out their clothes and organize their backpack the night before so that they don’t have to do it in the morning. Remember to put the responsibility for getting up in the morning on your child. If you do it all for them, they have no reason to do it themselves. 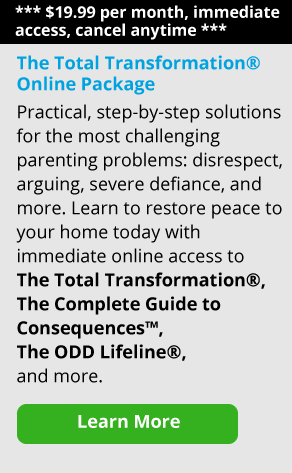 Empowering Parents parent coaching helps with these and other challenges you’re experiencing with your child. Empowering Parents Coaches have helped hundreds of parents customize a plan of action to help your child take responsibility for their morning routine, and we can help you, too. Specialists can also work with you to formulate realistic, appropriate consequences to help enforce the new morning routine. Whatever action you choose, be sure to stick with it. Calmer mornings are within your reach.